We are engaged in the sphere of manufacturing and exporting a wide range of Fibre Drums that are available in various shapes, sizes, dimensions and designs to suit the varied requirements of the clients. 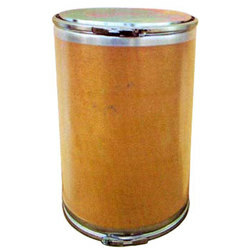 Manufactured with graded steel, plastic and other raw material, these fibre drums are widely used in chemical, pharmaceutical, textile, food & beverages and several other industries. We offer fibreboard drums, composite drums, composite container, straight binded fibre drums, spiral binded fibre drums, square drums, round drums without iron and metal, thermocoal lined fibre drums. 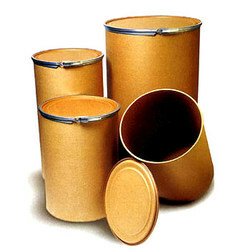 We offer a wide range of Fibre Board Drums that are available in both standard and customized specifications. 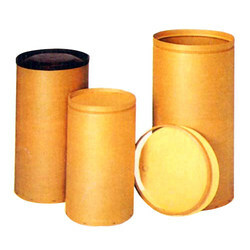 These fibre board drums are used for various packaging applications in Food, Pharmaceutical and Chemical Industries that enhance the integrity of the products. These fibre board drums are fully recyclable, easily disposable and approved from UN to transportation of dangerous goods. We offer a wide range of Composite Continuous Fibre Drums that can be manufactured with graded raw material such as steel, fibre or plastic, as specified by our clients. These composite drums are lightweight, durable and available in various sizes. Further to suit the varied requirements of the clients, we can also offer customized sizes of composite drums within committed period. Leveraging on our industrial experience and robust infrastructure facility, we have been able to offer a wide range of eco-friendly range of fibre drum that are available in square designs. These fibre drum save space up to 28% as compared to square drums and hence, widely appreciated for different packaging applications. We manufacture and export an assortment of Straight Bonded Fibre Drums that are suitable for packing powder, solid, semi-liquid and hazardous products. 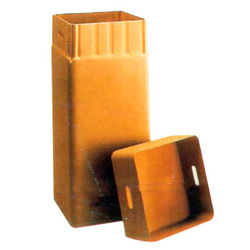 These are incorporated with internal linings and barriers that provide enhanced protection of packed products by extending their shelf life and reducing the need for additional loose liners. These can be printed with customized logo and other information to suit the requirements of the clients. Our experts have also designed and manufactured a superior range of Thermocoal Lined Fibre Drums that are used for various packaging, transportation and storage applications. These fibre drums are ideal for carrying food and other products, which need to be hygienically protected. 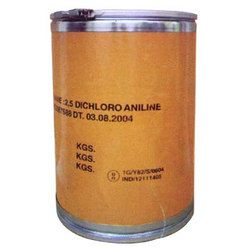 Apart from this, these are also suitable for chemicals, powders, pastes and solid products and provide excellent protection for textiles, films, adhesive tapes and other reeled products. We have also achieved expertise in manufacturing extensive range of Spiral Binded Fibre Drums that are available in both customized as well as standard specifications. Further, these Drums can also be customized with desired logo, brand name and other information as per the specifications, detailed by our clients. Using premium quality raw material, we manufacture and export a wide collection of Round Drums without iron and metal that are widely used in chemical and pharmaceutical industries. 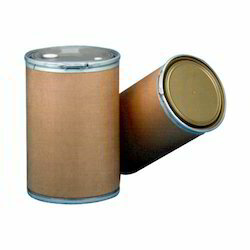 These Drums are durable and enhance the shelf life of the packed products. 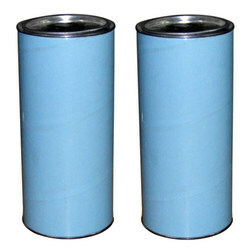 Our company has also been able to manufacture and export a wide variety of fibre drum that are U.N. approved. These fibre drum are designed to provide maximum comfort during packaging applications with a removable and recyclable closure band. Each component of these fibre drum can be easily separated and recycled through conventional waste streams without mechanical assistance, as these are ideal for recycling to comply with the EU Packaging and Packaging Waste Directive. Backed by efficient team of expert professionals, we have been able to manufacture, export and supply a wide range of Fiber Drum that are used for both small scale and heavy duty packaging applications. These drums are available in various sizes, shapes and dimension to suit the varied requirements of the clients. 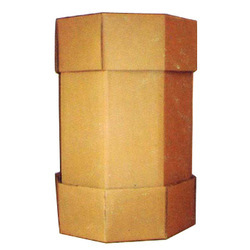 Inner Diameter: 8 " to 28"
Height :- As per Requirement. 100 % Paper Fiber drums without Iron , Metal and Plywood. Poly film coated (inner & outer as per req.) to make it water/ air proof. Affixed with top/ bottom closure of hardboard / Plastic and Metal as per requirement. Confirming to European, BIS Standard and INDIAN INSTITUTE OF PACKAGING standard. Arranging the UN Code for packing Hazardous cargo for sea/ air shipment. Transported with closed body truck to avoid dust, rust and rain. Stackable for loading (strong enough to put one at another). 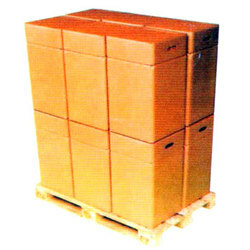 Cost effective packaging for bulk products.